Mt Roskill Grammar is a secondary school for Years 9 to 15 with a culturally diverse student community. Pacific students comprise a quarter of the roll and Asian students have increased to just over 50 per cent. The school benefits from MERGE, a partnership with the adjoining primary and intermediate schools. The use of Puketapapa (Mt Roskill) to identify the shared campus signifies the school’s location and recognition of tangata whenua. Whānau Māori and Pacifica fono are better connected through these campus-wide approaches. 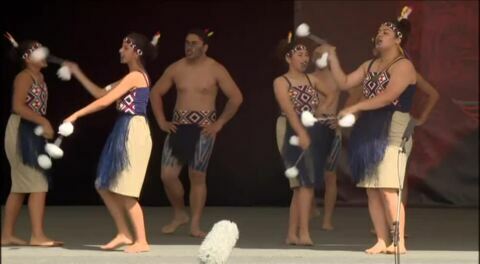 Highlights from the 2016 ASB Polyfest, the largest secondary school Polynesian festival in the world, which attracts 9000 performers and 80,000 spectators. Mt Roskill Grammar.